Verizon pinged our inbox to remind us that they will flip the switch to 14 new 4G LTE markets tomorrow, bringing their total to 179. They will also expand in 4 others. 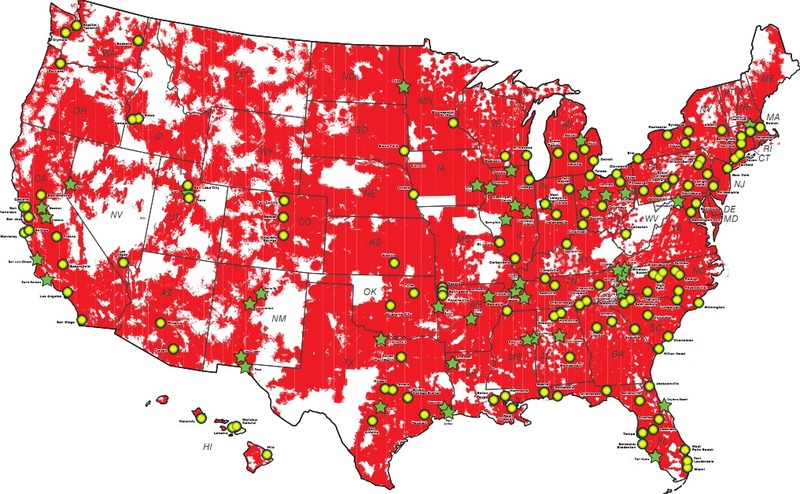 In less than a year, Big Red will cover 186 million customers and are well on their way to covering the entire country by the end of 2013. Kansas City and Springfield/Branson, Mo. Also as our inbox has indicated over the last few weeks, many of you are seeing live LTE in these markets already, but feel free to let us know in the comments if you are live.